Numerous games already lets us play as a secret agent of sorts, some even as James Bond himself. But ones that actually has us running an agency? I’m honestly not sure any exist. 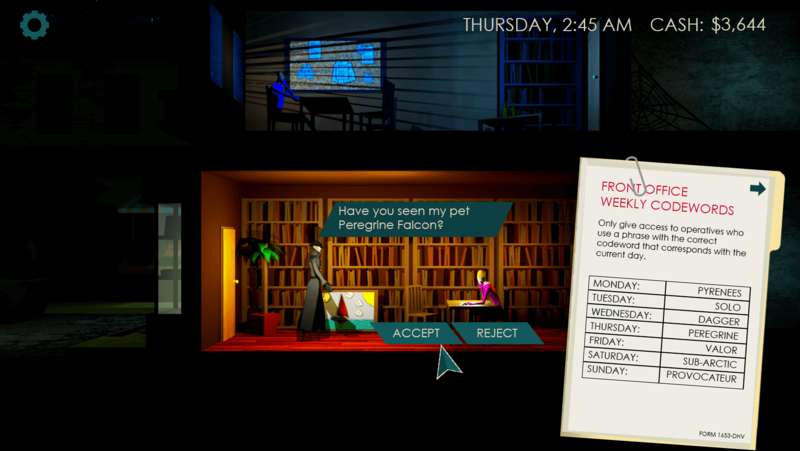 Safe House does just that though, complete with day-to-day activities, ensuring revenue is generated, and… there’s even a non-linear plot in place, allowing you to pretty much craft your own spy adventure. Oh, and the entire experience is pretty much straight out of the 1960s. By which I mean the gameplay, not the visuals, as I’m sure you can tell from the above screenshot. Much like in spy movies from said era, you’ll be tasked with “decoding scrambled messages, forging documents, and exchanging secret phrases” – all while managing an entire spy headquarter. Once the construction work is over and done with, that is. So be sure to choose carefully which rooms to build/upgrade – and where – or you may find yourself in the shadows with a very limited budget. Will you complete your mission – regardless of the cost? Can your allegiances be bought and sold? In the shadows, it’s difficult to tell friend from foe. A multitude of other important decisions await as you progress through the story too, each of which will lead to one of several different endings (ah, replay value); and if you want to truly test your skills long-term, ‘endless’ mode is where it’s at. Are you ready to get started… chief? Safe House awaits! Safe House is available on Steam, carrying a $9.99 price tag.